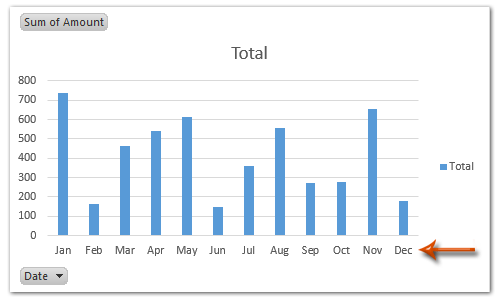 In general, the dates in the axis of chart or Pivot Chart are shown as "2014-02-15". In some cases it may require to ignore the Year in the dates such as "2/15", or only keep the Month in the dates like "Feb", do you have any idea to get it done? 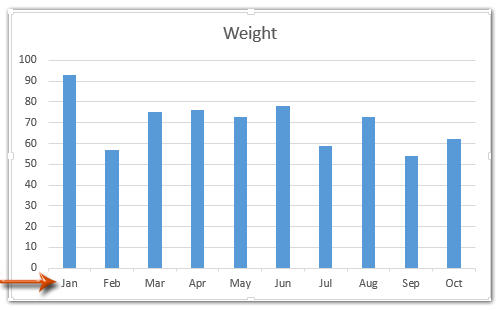 This article has provided two methods to change date format in axis of chart or Pivot Chart in Excel. 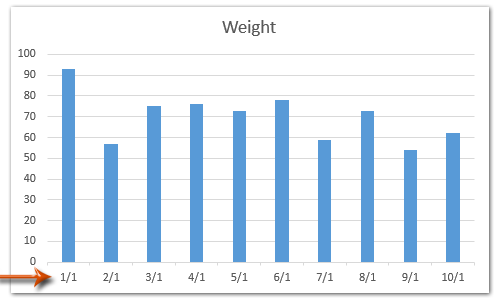 The date format in normal chart generally keep same as that in source date. 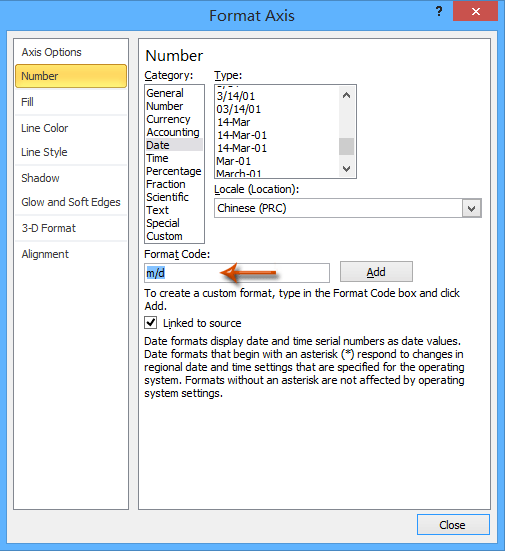 If you are entitled to changing date format of source data, you can change the date format in the axis of chart much easier with the Apply Date Formatting utility of Kutools for Excel! Full Feature Free Trial 60-day! 1. 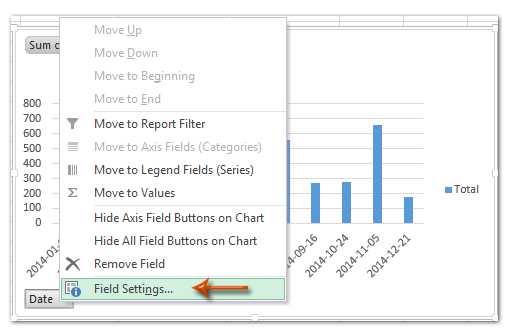 In the Pivot Chart, right click the Date filed button and select Field Settings from right-clicking menu. 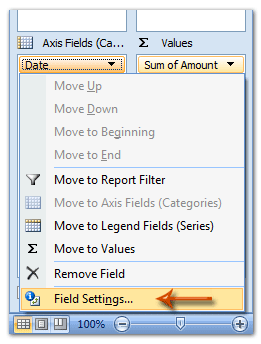 Note: In Excel 2007, you can't find out the field button in the Pivot chart, but you can click the Date Filed in the Axis Fields (Categories) section of PivotTable Field List pane and select Filed Settings from drop down list (See below screen shot). And this method also works well in Excel 2010 and 2013. See screenshots above. 2. 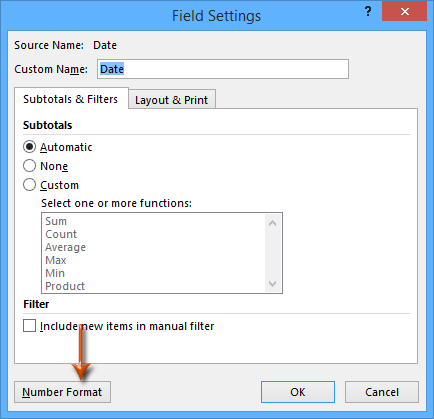 In the coming Field Settings dialog box, click the Number Format button. 1. 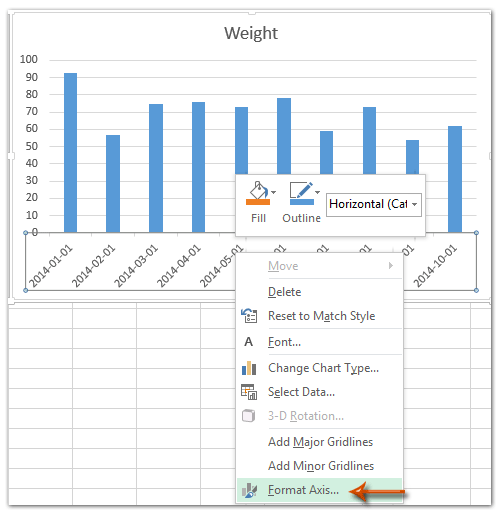 Right click the axis you will change data format, and select Format Axis from right-clicking menu. 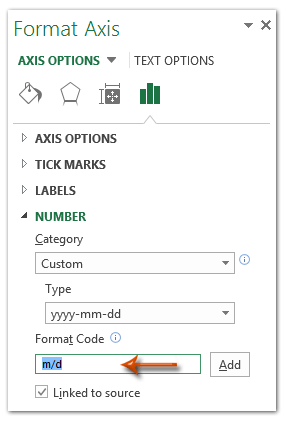 (1) In Excel 2013's Format Axis pane, expand the Number group on the Axis Options tab, enter m/d or mmm or others into the Format Code box and click the Add button. 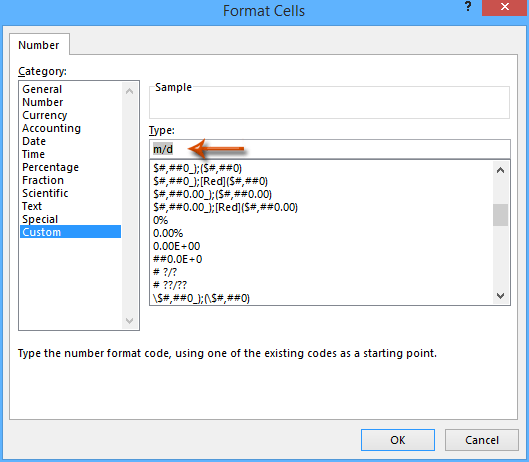 (2) In Excel 2007 and 2010's Format Axis dialog box, click Number in left bar, type m/d or mmm or other codes into the Format Code box, and click the Add button. Note: If you enter m/d into the Format Code box, the dates in selected axis will be changed to the format of 1/1, 2/1,…; if you enter mmm into the Format Code box, the dates in axis will be changed to the format of Jan, Feb, …. 3. Close the Format Axis pane/dialog box. 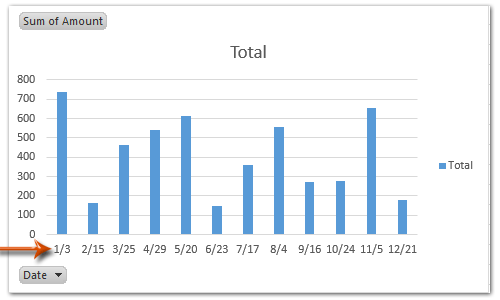 Then you will see the dates in the chart axis are changed to the specific format at once.